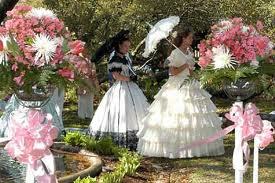 The 64th Annual North Carolina Azalea Festival will be held April 6-10, 2011. During these four days all the Wilmington Events will be held all over town. The Festival is a celebration of Wilmington’s exceptional artwork, gardens, rich history and culture. Entertainment includes: a parade, street fair, circus, concerts, pageantry, historic homes tour and all that is Southern. Each event is a celebration, beginning with the traditional arrival of Queen Azalea at the official opening of the four-day event. Stars glitter throughout town as Southern belles and their escorts promenade through lush gardens at the annual garden party. 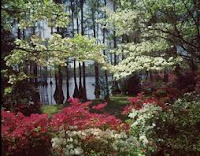 Everywhere the blooming azaleas offer colorful testimony to the rich heritage of coastal Carolina. The festival was founded in 1948 with the first year being a great success and has grown into a fun-filled extended weekend long event. Around town at most of the historic museum homes you’ll find sweet southern ladies dressed for the occasion complete with hoop skirted dresses, ribbons in their hair and parasols. 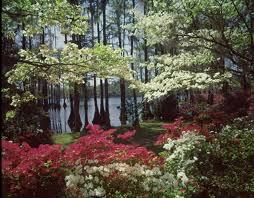 With the Azaleas, Camellias and Wisteria in full bloom you certainly feel as if you have stepped back in time. It is a Wilmington Event you will not want to miss.